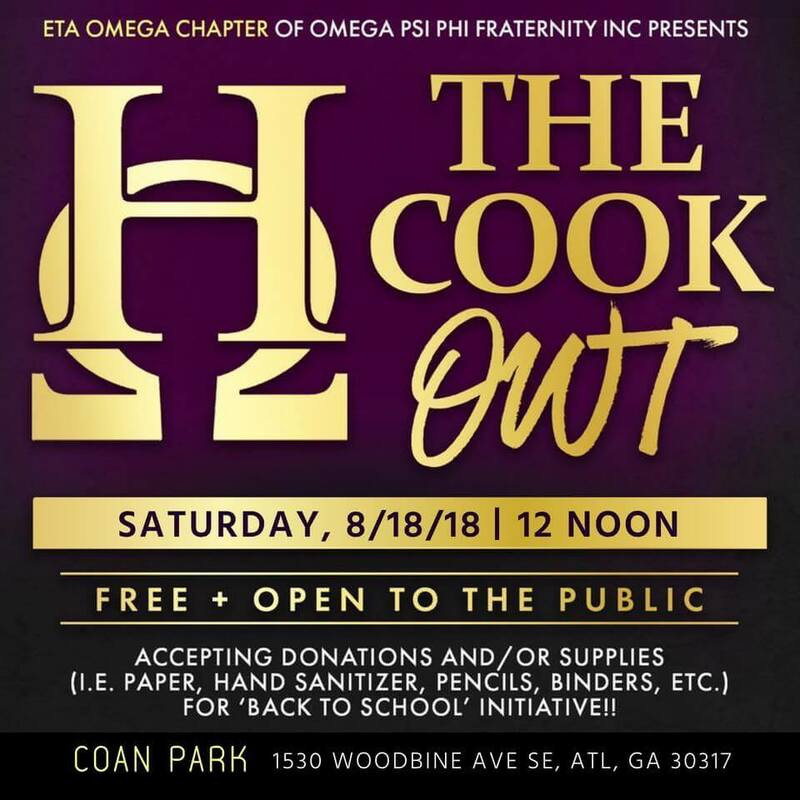 Join the brothers of Eta Omega for our annual Friends and Family CookOWT. All are invited as the Chapter provides food, drink, music, and activities for the kids. Please bring a donation for our annual back-to-school drive.